This event will take place at Congregation Etz Chayim in Palo Alto. 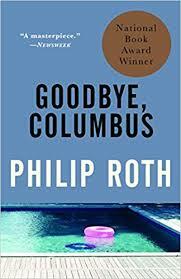 Upon the publication of the stories that would enter his debut collection, Goodbye, Columbus, Philip Roth was lambasted as a self-hating Jew by many critics. We will examine and discuss some of these texts and the critical and communal responses to them. Howard Freedman is the director of the Jewish Community Library and writes Off the Shelf, a monthly column on Jewish books, for J. The Jewish News of Northern California. Co-sponsored by Congregation Etz Chayim.